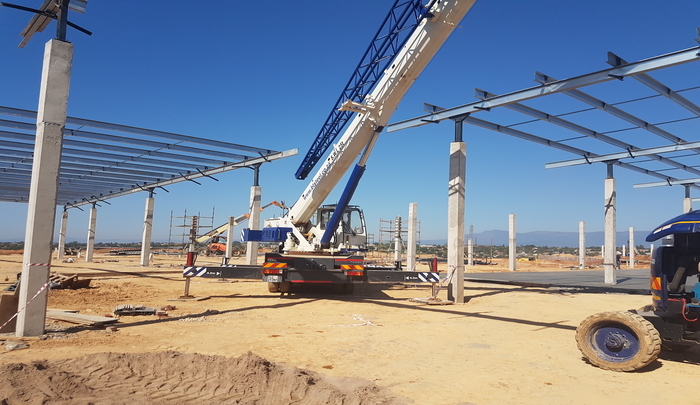 B&T Steel was recently appointed for the steel Construction of the Acornhoek Mall along the busy R40 economic hub in Bushbuckridge, in Mpumalanga. Acornhoek Mall will offer an estimated 40 000m² of shopping and dining, making it the largest enclosed mall in the surrounding area and finally fulfilling the long-awaited role of regional mall to the greater Acornhoek / Bushbuckridge area. The mall will be enclosed and air-conditioned with an engaging, dedicated food court which will host sit-down restaurants for an in-mall dining experience.